Happy Reunion Sunday, everyone. What? This holiday's not on your calendar? Ridiculous. Unacceptable. Well, it is Reunion Sunday. And you celebrate by asking me for a free copy of my ebook Reunion. I celebrate by giving you one. All you have to do is promise me a fair review of the book at Amazon, Barnes and Noble, and Goodreads. Or any combination of the three. 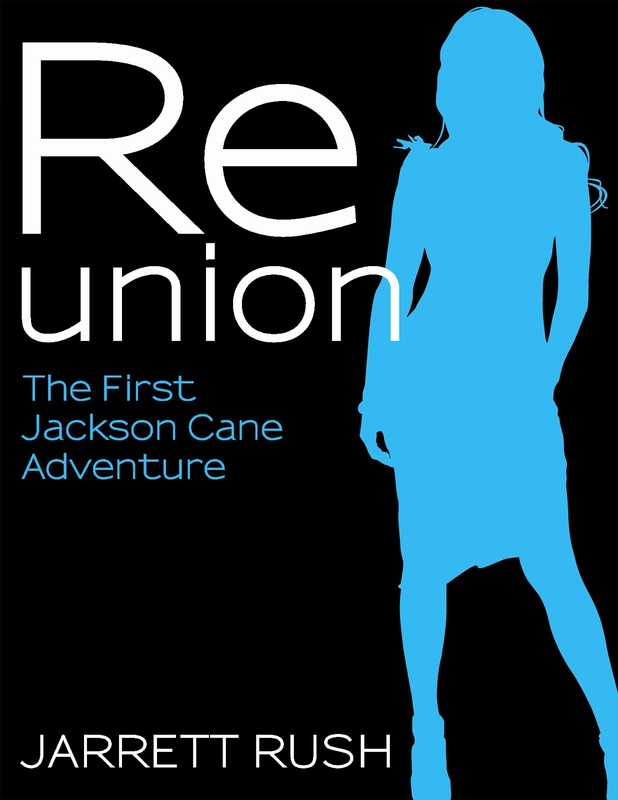 We are celebrating this year because the second Jackson Cane story is getting ready for release. The plan, right now, is that Scouts will be available by the middle of March. Ahead of that release I'd like to see Reunion with a few more reviews. Sort of prime the pump, if you will. You can help me do that by celebrating Reunion Sunday. Ask me for whatever version you need and I'll email you one. I've got the mobi files for your Kindle and the epub files for your Nook or other ereader. I will say that I'm not asking you for a big investment in time. This is an 8,000-word story. You can read it in an afternoon. You can read it in an hour. What am I asking you to read? Here's the description. Jackson Cane is a cop. Well, sort of. Cane and his coworkers call themselves the Freak Police. They chase certain undesirables back to where they belong. Cane's the best of the bunch, but his latest case is going to bring him face to face with someone that he's not sure he wants to see again. So help me celebrate. 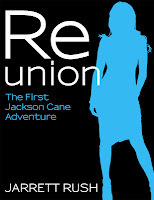 Ask for a copy of Reunion. Leave a comment on this post with your email address and the version you'd like. I'll get it to you. Or if that makes you uncomfortable, email me at jarrettrush@yahoo.com. Let me know which version you need, and I'll get it to you. Thanks in advance. And Happy Reunion Sunday, everyone. I haven't done one of these in a while. My free short story, Consider Us Even, is within 100 downloads of breaking the 2,000 barrier. A more specific number is 67 downloads. For those that don't know, it takes place in the same world as Chasing Filthy Lucre. It features fist fights and data addicts. Want to give it a try? You can find it at Barnes and Noble, the Sony E-Reader Store and Smashwords. I'm up at 5 a.m. this morning. I never get up at 5 a.m. But with this being my first day at my new job, I thought that getting up at 5 a.m. would give me an hour to write before I needed to start getting ready for work. I've been fairly productive, which is nice. There were some things I needed to add to the second Jackson Cane story. I did that. I wrote this blog post.I'm going to look at another piece I've been working on. Still not sure, though, how long this routine will last. Even if I am a morning person, 5 a.m. comes early. Yesterday I accepted a position with a local marketing firm. I'm back among the employed. I can't tell you all how much of a relief it is to have a job again. With a baby coming, Gina and I are about to have some expenses that her salary and my unemployment check just weren't going to be able to cover. I go in for a little bit of training today, but my first official day is Monday. That's February 6. I was laid off September 6. I will have been out of work 5 months exactly. We'd been praying about me finding a job. We knew that our timing wasn't necessarily God's timing. We would have loved for me to find a job right away, but I didn't. It got frustrating at times. Especially those times when it seemed like something was right around the corner. I had a couple of very promising interviews with one company early on. I was sure that I was going to get that job. Then we didn't hear from them for more than a month. Finally, around Christmas they called to tell me that, while they liked me and thought I interviewed well, they went with someone else. That crushed us. Well, me for sure. I think Gina had already written that job off. But this job that I accepted came up quickly. I heard about it and sent my resume to them on a Wednesday morning. Talked with the woman who will be my boss that afternoon. Interviewed for a few hours on Friday. And less than a week later I got hired. I have to think that it was pretty divine timing. When it's the right job there aren't any roadblocks in the process. As for what I'll be doing in the position, it's mostly editing. There will be some writing and some coordinating of freelancers. This seems like the ideal job for me. Much better than the one that got away early on. It lets me take the skills that I spent 15 years building at the newspaper and use them. Plus I get to do some things that are new. New challenges were part of what I was looking for when I was searching. I really am very excited about how it all came about and about the new job. For those of you who were keeping me and Gina in your thoughts, we thank you. It was tough, but we know that we're much better off than many people out there. Can you give me a minute to be design guy again? I haven't been able to be that guy since I lost my news design job in September. I'd thought that side of me was slowly withering away. But something came in the mail the other day that caused him to rear his head once again. We got the new February JC Penney catalog in the mail. And let me say "Wow!" You've no doubt seen the commercials about the new pricing structure that JCP is introducing. Judging by my Twitter feed, many of you have seen more than enough about it, especially the commercials. As a business story, that's interesting. And good luck with that, JCP. As a Dallas-based company, I hope that's wildly successful. 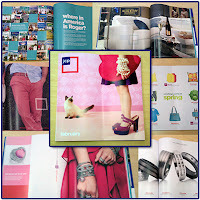 What I liked, though, was the look of the new catalog. It's sparse. It's spare. It's simple. The copy that's there is quirky. It's very much like what you see from Apple and Target and Ikea. And I like it. Simple photos of products on a white background. Simple pricing strategy. All of this seems to be geared toward sending a clear message. This isn't your mother's JCP anymore. These kind of moves shouldn't be a surprise, really. The new CEO, Ron Johnson, was an executive at both Target and Apple. His charge at JCP is to make it more hip and cool. Have to say, he's heading in the right direction. I'm not the only person who is impressed either. Those in the creative world like the look and feel as well. Check this link. Something I learned. The former top marketing guy at Target was hired by JCP recently. That actually explains a lot. I'll be interested to see how well the new strategy works for JCP. Because, like I said, it's a local company. What's good for them is, by extension, good for the economy here. And, more importantly, Gina are Penneys people. I'd love to see the company succeed. I like their pants.